The Acura RDX is the brand’s luxury crossover SUV, offering seating for five and a cargo area of nearly 60 cubic feet. You can find a used Acura RDX for sale right here at Mile High Acura, not far from Aurora. Rather than buying new, you’ll get a great car for a reasonable price, plus luxury trimmings like a navigation system, cruise control, and leather seats. Browse our selection of 11 pre-owned Acura RDX SUVs below, then apply for financing online! Why Buy a Pre-Owned Acura RDX from Mile High Acura? Buying a used vehicle can be stressful. You may not know which vendor to trust. You can trust, however, that you’ll get a great vehicle at our dealership. 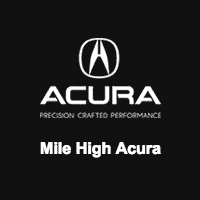 Mile High Acura is committed to. After you’ve compared the Acura RDX to other Acura vehicles, you’re ready to take a pre-owned Acura RDX. So take a look at the RDX – this vehicle that tops the competition – before you contact us today to lease or finance.